Brek’s 4th birthday is September 12. Once again family and friends celebrate Brek by recalling and sharing incredible memories. Our birthday photo this year reminds us of his incredible smile and lust for life. Books from Brek was honored to be featured in the Crisis Nursery Monthly Newsletter. Check out their November newsletter on page 3. 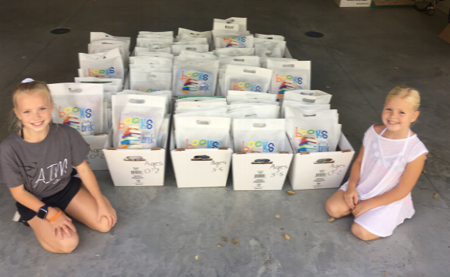 On October 2, 155 book bags with 5 books were given to the Crisis Nursery Center in Urbana, IL. The books were leveled appropriate to the ages of the children. The Crisis Nursery creates an “island of safety” dedicated to the prevention of child abuse and neglect by providing 24-hour emergency care for children and support to strengthen families in crisis. Crisis Nursery is the only emergency-based child care facility open 24 hours, 365 days a year for the entire community to access with no fees or income eligibility. It focuses on children birth to age six. Download our full newsletter in PDF format here.